Listing Office: Keller Williams Downtown SeaSelling Office: Windermere R.E. Wall St. Inc. Fully leased Greenwood triplex with very solid rental income! Truly turnkey, building underwent a full 2018 renovation. Classic styling w/modern finishes. 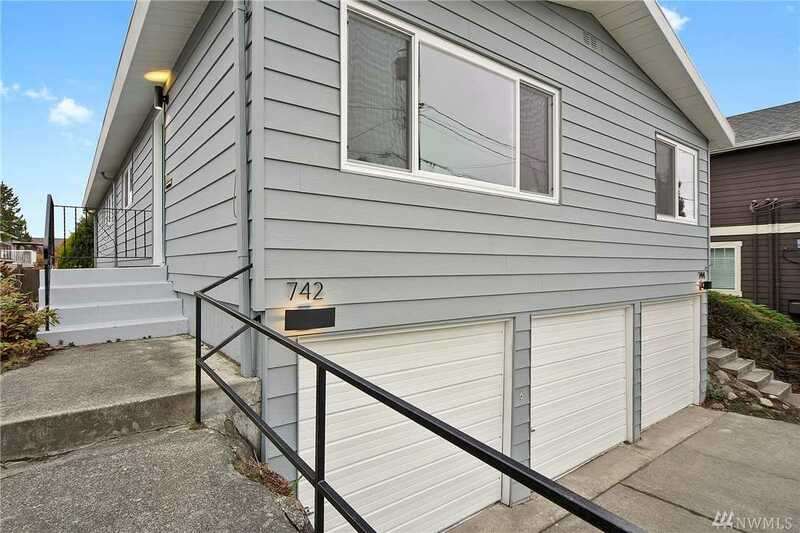 Kitchens tastefully updated w/stainless steel appliances and quartz countertops. Fresh flooring, fixtures, windows, plumbing & electric updates. Two spacious bedrooms, full bath and new washer/dryers in each unit. Building has a 3-car garage, ample parking & large private yard w/casita. Great investment w/additional LR2 zoning upside. Lot Size: 0.16 Acres / 6861 Sq. Ft. Directions:From N 85th St, go north on Fremont Ave N, right on N 92nd St.
SchoolsClick map icons below to view information for schools near 742 N 92nd St Seattle, WA 98103.